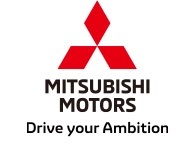 TOKYO, Feb, 15 2019 - (JCN Newswire) - Mitsubishi Motors Corporation (MMC) announces today the launch of the New Delica D:5 all-round minivan at affiliated dealerships nationwide in Japan. Manufacturer's recommended retail prices range from Yen3,842,640 to Yen4,216,320 (incl. consumption tax).